The world is changing at a fast pace and so are the technologies around us. Technologies like the Internet of Things and blockchain continue to emerge and promise to completely revolutionize the things around us. The technologies have quickly taken over our lives and have started influencing the domain of digital finance and the marketplace in general. Talking about the cryptocurrency, it has definitely given the world a new outlook towards digital currency and online transactions. Blockchain and IoT are surely the most talked about technologies in the past years as they promise to completely revolutionize the world. When we talk about groundbreaking technologies, we mean the ones that ensure a better future. Blockchain technology has gained tremendous popularity over the past decade. Ever since the inception of the technology, it has continued to change each and every hemisphere. Whether it is about online gaming platforms or digital transactions, blockchain is possibly everywhere. Blockchain has surely become bigger than the internet today. Talking about IoT, it has been there for a while now but it has procured a lot of popularity due to its global dominance. In fact, according to a survey done by Gartner, in 2017 there were around 8 billion connected devices in use and it is expected to be around 20 billion by the end of 2020. Instead of huge success and promising future, these two technologies do have loopholes and challenges and we need to address these obvious flaws. Let’s see why. Both blockchain and IoT technologies seem to have a quite promising future, however; these technologies do have their own limitations. Security is a very important concern when we talk about the internet, thereby it is one of the main concerns. As the number of connected devices increases, the vulnerabilities and loopholes also increase, thereby security becomes the main concern. Internet-of-Things builds no limitations towards privacy. The concern for privacy has become more prevalent in consumer devices like smart ACs, TVs, tracking mobile phones etc. as the data sometimes need to be transferred to a third party. With so many devices connected to the network, it takes time to process the data and information. Though IoT network gives more fluidity in the network, however, the processing of overheads and gateways does increase the operational costs, in addition to the third party involvement. Therefore, the businesses need to optimize their resources to decrease TCO accordingly. In addition to the limitations mentioned above, IoT also needs to widen its potential in order to offer a quick and reliable connectivity 24/7. Concurrently, blockchain technology hasn’t had a breakthrough moment yet. It is still waiting to walk the talk and prove to people that it is more than a hypothetical solution to the most obvious problems of the technology. However, IoT and blockchain together seem to be a perfect technological amalgamation. Currently, blockchain is a secure home for the most profitable cryptocurrencies of recent years. Moreover, the decentralized network along with the smart contracts bridges the gaps for security concern in IoT. The applications involved in IoT are distributed; therefore blockchain can play an important role in how the devices communicate with each other. Blockchain offers means for applications that include digital transaction and communications through smart contracts that can support specific processes included in the Internet-of-Things. This way, blockchain technology promises to give better security, compliance in IoT, IoT applications inexpensively. Through these features, proper connectivity is ensured as outage in one location does not affect other places. The blockchain ensures that IoT provides better connectivity and services. Athero is a blockchain-powered platform that aims at completely revolutionizing the Internet of Things. 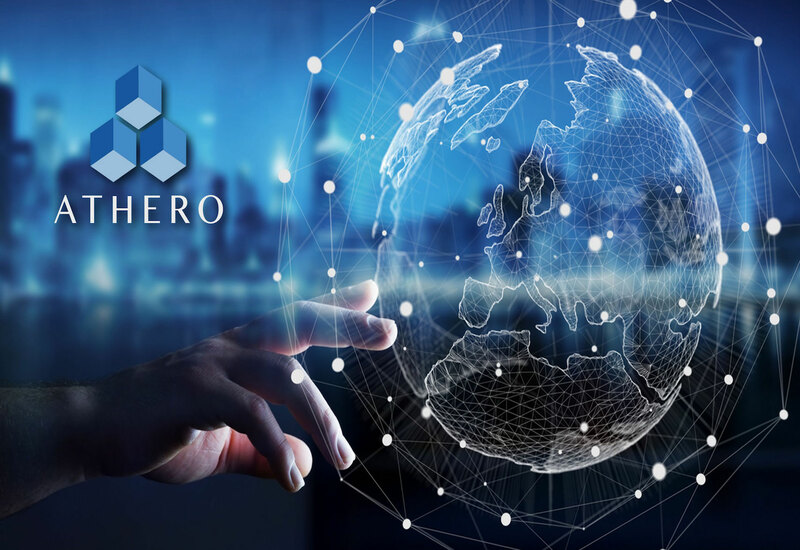 Athero is a decentralized public-assessed infrastructure that aims at providing stable growth and welfare. Athero is a highly lucrative, global cryptocurrency ecosystem which is not interfered by a third party or centralized market. The Athero ecosystem is directly based on users and networks without having any irrational fees. It offers a more secure, transparent, compliant and trustworthy blockchain network. THO is a crypto token that will be unified and utilized on the Athero platform, a decentralized network for the application. In the beginning, THO will be issued on the public Ethereum blockchain as an ERC-20 compliant token. The platform will also have an e-wallet to keep THO so that the users can use the tokens on the platforms after token activation. Athero is not a company; it is a robust ecosystem that is based on the direct relationship with the users and the network. The aim is to develop a secure, transparent and robust platform through decentralized technology and IoT. Through these technologies, Athero wants to create a unique solution that can offer services from market to finance. The THO token sale has created a lot of buzz as it began on September 20, 2018. Looks good. We need more real projects like this.